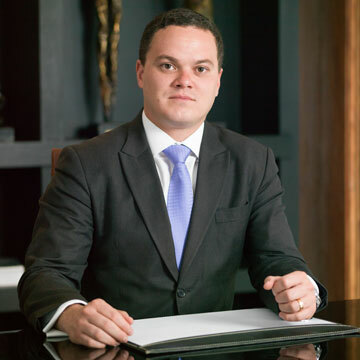 Currently completing a Master’s degree in business administration and strategy at Fundação Dom Cabral (MG), he holds a degree in Economic Criminal Law from the University of Coimbra (Portugal). He holds a bachelor’s degree in Law from the University of Brasília (UnB). He was a volunteer professor of criminal procedure at the Legal Practice Center of the University of Brasília (UnB) for over ten years. He taught Criminal Law and Criminal Procedure at the main Institutions for Higher Education in the Federal District. He is president of the Institute of Penal Guarantees since 2017. He was awarded the rank of High Distinction of the Order of Judicial Merit of the Federal District and Territories (2013) and has been an Honorary Citizen of Brasília since 2015. © 2017 FIGUEIREDO & VELLOSO Advogados Associados. Todos os Direitos Reservados.